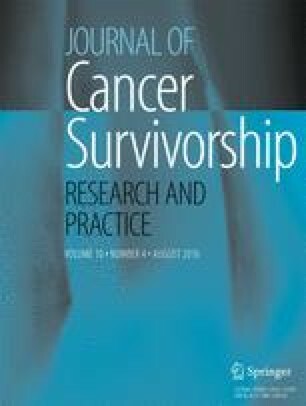 Fear of cancer recurrence (FCR) is prevalent among survivors. However, a comprehensive and universally accepted theoretical framework of FCR to guide intervention is lacking. This paper reviews theoretical frameworks previously used to explain FCR and describes the formulation of a novel theoretical framework for FCR. A systematic review of the literature was undertaken to identify conceptual frameworks or theories applied to FCR. MEDLINE, PubMED, CINAHL, AMED, PsycINFO and Web of Science were searched. Identified conceptual frameworks were reviewed for strength of evidence supporting their validity. Of 558 papers initially identified, 16 made reference to six different conceptual frameworks relating to FCR. The most comprehensive and evidence-based theoretical approach is the Common Sense Model (CSM). Other approaches have limited evidence supporting their application to FCR. Two theoretical approaches developed in the context of emotional disorders that appear to be highly relevant to FCR: the Self-Regulatory Executive Function (S-REF) model and Relational Frame Theory were combined with the CSM to produce a novel cognitive processing account of FCR. Few conceptual frameworks have been used consistently to guide FCR research, and not all frameworks are empirically well supported, suggesting that further discussion regarding the conceptualisation of FCR is needed. The novel theoretical framework for FCR presented highlights the multidimensional nature of FCR and the importance of cognitive processing and metacognitions in the development and maintenance of FCR. The novel theoretical formulation of FCR outlined here provides a much-needed comprehensive framework to further investigate and address FCR in cancer survivors. The work presented in this paper was co-funded by beyondblue, National Breast Cancer Foundation and Cancer Australia (CAPdCCRS 1022584). This review was co-funded by Cancer Australia, beyondblue and National Breast Cancer Foundation (grant number 1022584). No studies with human participants or animals were performed by any of the authors as part of this review.